Dr. Rodrigo Quian Quiroga is a Professor and Director of the Centre for Systems Neuroscience at the University of Leicester in the United Kingdom. He is also an author of the books Borges and Memory, Principles of Neural Coding, Imaging Brain Function with EEG, and the recently published book The Forgetting Machine. Rodrigo received his undergraduate training in physics from the University of Buenos Aires in Argentina and was awarded his PhD in Applied Mathematics from the University of Luebeck in Germany. He was a postdoctoral fellow at the Research Center Juelich in Germany and he received a Sloan Fellowship to conduct research at the California Institute of Technology. Rodrigo also worked briefly at RIKEN in Japan and at the University of Nijmegen in The Netherlands. Rodrigo has received numerous awards and honors including the Royal Society Wolfson Research Merit Award, a Young Investigator Award from the American Epilepsy Society, and Rodrigo was also named one of 10 UK RISE Leaders in Science and Engineering in 2014. Rodrigo spoke with us about his experiences his career, research, and life. Rodrigo enjoys getting out of the lab to give his mind a break from thinking about experiments. In particular, he enjoys hanging out with his wife and kids, playing sports, and practicing Judo. Rodrigo is interested in understanding how memory works and how the brain works in general. He conducts experiments to determine how the neurons in our brain make us see, feel, make decisions, and remember the things we experience and learn in our lives. The memory research in Rodrigo’s lab investigates how memories are formed, stored, consolidated, and forgotten. Curiosity and passion motivate Rodrigo to go into the lab each day and do the experiments he does. Rodrigo’s academic performance throughout his school years was fine, but he was not necessarily a top tier student. He had other interests, including sports, spending time with friends, and having fun, that occupied him during his earlier years. Though he studied physics and math in college, Rodrigo was always curious about the brain. As an undergraduate student, Rodrigo chose to do his final year project on chaos theory. However, he designed an applied project that focused on the brain and paired him with a neurologist mentor who took interest in Rodrigo’s mathematics and physics-based approaches. The project didn’t work out, but it taught Rodrigo a lot and captivated his interests. He was awarded a fellowship and moved to Germany to continue doing research. Partway through his time there, Rodrigo’s advisor told him that he could present the work he was doing as a PhD thesis. Rodrigo took him up on the offer and was awarded his PhD after only two years. He later changed his research field from applied mathematics and physics to studying neuroscience. The start of Rodrigo’s scientific career was really frustrating. The very first project that he worked on involved trying to apply chaos theory to electroencephalography (EEG) data in college, and it was a disaster. Rodrigo attempted to replicate experiments from another research group that claimed their data from EEG recordings of activity from the brain supported that neural activity was a chaotic system. Rodrigo spent two years working hard trying to replicate these results, but eventually he discovered that the previously reported results were incorrect, and the question they were pursuing didn’t even make sense. Even though the project wasn’t a good idea, Rodrigo was glad he did it because it helped him get into neuroscience which was something he was really passionate about. It also taught him the importance of asking the right questions in research. The scientific achievement for which Rodrigo is most well-known is discovering “concept cells” or “Jennifer Aniston neurons” in the brain. When he decided to switch his career from math and physics to neuroscience, he moved to the California Institute of Technology and started studying recordings from neurons. Before this point, he had never even seen a neuron before. However, Rodrigo brought with him a lot of useful tools from math and physics, and he realized he could used these tools to solve problems in neuroscience. This was particularly important because many neuroscientists weren’t aware of or didn’t know how to use these techniques. His first success was using math and physics techniques to develop new methods to identify neurons from a neural recording. In a recording, you can see the activity of different neurons, but he used mathematical tricks to see activity from more neurons than could be done with other methods at the time. With this algorithm and a few other tricks, Rodrigo discovered a type of neuron that no one had ever seen before. These neurons responded to specific people. The most famous and very first neuron of this type that he found was active only in response to photos of Jennifer Aniston. It responded to all photos of Jennifer Aniston (not just a specific photo), and it didn’t respond to pictures of any other people. This was really rewarding and opened a whole new line of research to examine why we have neurons that respond to specific concepts within an area of the brain called the hippocampus that is involved in memory. When Rodrigo moved from Argentina to Germany, there was one scientist whose papers he was fascinated by but never had the opportunity to meet. He flew in to Spain and traveled the rest of the way by train, stopping in different cities along the way. One of the stops brought him to Amsterdam, and Rodrigo knew that this scientist hero of his worked at the University of Amsterdam. Rodrigo pulled one of the papers out of his bag, got the scientist’s address listed under the author affiliation, and took a bus to the University of Amsterdam. Once there, Rodrigo managed to find the scientist’s office, but his secretary said he wouldn’t return for a few hours. Rodrigo got coffee in the cafeteria and waited. He was surprised when the scientist found him in the cafeteria, met with him, and invited him to see the hospital where they did neural recordings. They spent the entire next day together, and it meant so much to Rodrigo to be regarded as a colleague even though he was just fresh out of college. There are so many scientists Rodrigo has met who are amazing human beings. It is fun to meet people at a conference, grab dinner, have a beer, and have great conversations. Rodrigo enjoys meeting and talking with people who are working at all levels in science, not just the very best researchers. Most scientists are quite approachable. In his own research group, they developed a tradition of meeting after work on Fridays to relax, chat, and enjoy a beer together. Sometimes, excellent scientific ideas come out of these pub discussions with colleagues. Don’t always listen to advice. When Rodrigo was interested in using tools and techniques from physics and math to get more information out of neural recordings, he met with one of the renown experts in the field. This expert basically told Rodrigo that the problem was already solved, it would be a waste of time to work on, and that Rodrigo shouldn’t try it. This was exactly what Rodrigo needed to hear at the time because it made him want to prove that person wrong. Pursuing the idea despite being advised against it led to one of Rodrigo’s most important discoveries. Rodrigo is fortunate because he is doing exactly what he wants to do in life. If you realize what you want to do and can manage to do it, you will have passion that will make you want to go into work every day. Rodrigo’s main research interest is on the study of the principles of visual perception and memory. He discovered what have been named “Concept cells” or “Jennifer Aniston neurons” which are neurons in the human brain that play a key role in memory formation. This finding was selected as one of the top 100 scientific stories of 2005 by Discover Magazine. His work has been published in about 100 research articles and has received world-wide media attention, including articles in The New York Times, The Washington Post, Scientific American, Daily Mail, New Scientist, The Independent, and other media outlets. 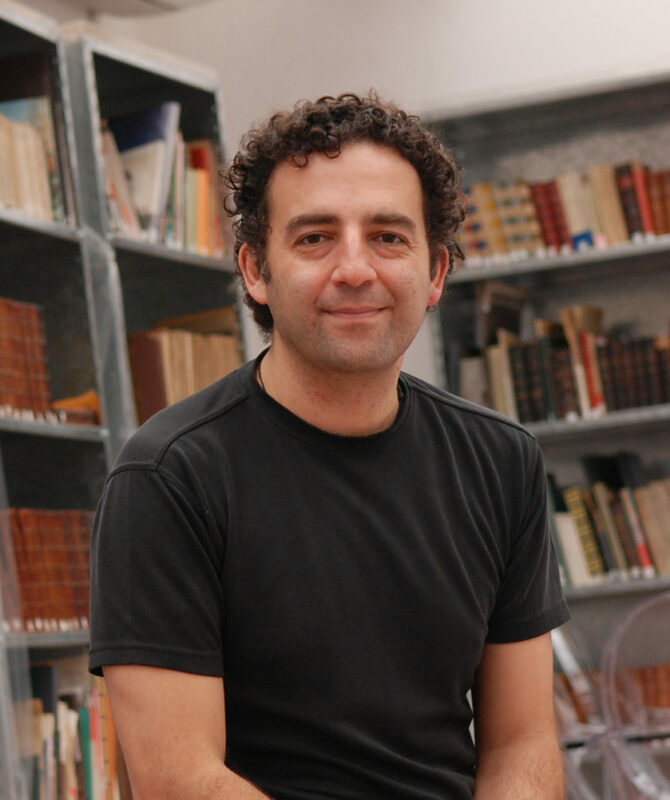 Rodrigo is the author of 3 books, including Borges and Memory, which links the thoughts of Argentinean writer Jorge Luis Borges with memory research in neuroscience. Rodrigo has held visiting positions at the Leibniz Institute for Neurobiology in Magdeburg, the International School for Advanced Studies (SISSA) in Trieste, Italy, the University of California Los Angeles, the California Institute of Technology, the University of Buenos Aires, and CONICET.